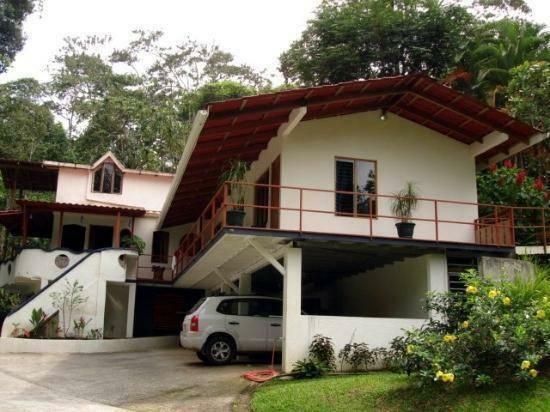 ﻿ Best Price on Agua Inn in Nuevo Arenal + Reviews! Set in a natural rain forest location, Agua Inn is 656 feet from Arenal Lake. It features a swimming pool and free Wi-Fi. The rooms at this spa offer colorful-traditional décor, a wardrobe and wooden floors. The tiled bathroom is private and has a shower and free toiletries. There is a terrace overlooking the forest. Agua Inn also features characteristic breakfast. The restaurants located within 1640 feet serve Italian and local food. Steak food, Lebanese, Mediterranean and organic food 1.2 mi away are also an option. This inn is 16 mi from Arenal Volcano National Park and a 20-minute drive from Tejona village and its skateboarding park. Daniel Oduber International Airport is 1 hour and 30 minutes’ drive away.